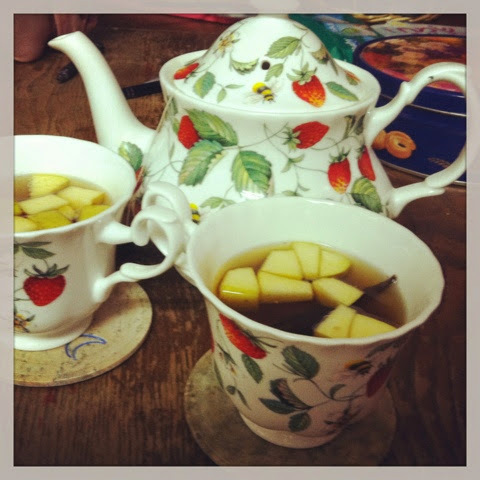 Tonight is a time for Apple Earl Grey Tea with pinch of Cinnamon, Clove and Ginger. A great tea with a great company. Feeling better already.